While I have not given up on either fantasy series, both have been temporarily shelved and I’ve started writing short fiction. Because of my love of long epic stories, I never thought of myself as a short story writer. One of the things I like about epic fantasy and long series of novels is the intricate plots. I also love the depth of world building that goes into longer works. And of course I fall in love with the characters. All of these things apply to both my reading and my writing habits. I didn’t think I could write short fiction because I considered it too simple (i.e. no complex plots), too short for world building, and not enough time with cool characters. As I’ve started writing short stories, I’ve been learning that all of those preconceived notions I had were wrong. I won’t go into all the nuances of how to write a good short story (as I’m still very much a novice myself). But the skill of packing a lot of important world-building, character development, and plot points into very few words is a great skill to have. As I said, I’m still learning; but I’m learning that two sentences of description will work just as well as two pages. Nobody needs to read a travel brochure of my awesome fantasy world; a brief setting that actually moves the story along works much better. One other important point that led to my decision to start writing shorter works: I could get a story published much faster. At the rate I was going with my Finnish folktale fantasy series, it would have been another 3-4 years before the first book was ready to share with the world, let alone the rest of the series. But a short story I could write in a month, send it off to an editor, and have something decent to put on Amazon in something less than several years. Now I realize that there are plenty of actual full-time professional authors who can crank out two short stories a week, or a couple of novels in a year. My schedule and my discipline are not at that level yet, but that’s a topic for another blog post. At any rate, I’m excited about what I’ve accomplished so far, and I’m excited about what I’m learning. And even though I’m not currently writing long epics, I’ve still got some of the elements of it because I’m writing a series. It’s a series of short stories rather than novels; so even though each tale is short and not extremely complex, I have the freedom to gradually build the world and to stick with the same characters. The series I’m writing right now is diselpunk – it’s historical fantasy set during 1920s Hollywood, with some elements of magic and retro sci-fi thrown in. My main protagonist Cornelia Jones and her supporting cast of loyal servants, mafia bosses, and other assorted characters will tie each stand-alone story into an ongoing series and a complex world. 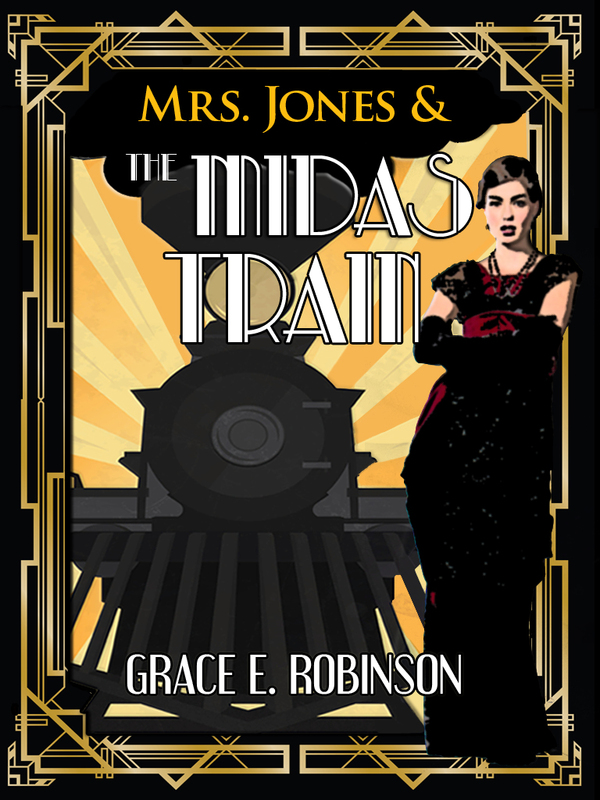 If you want to check out the first two Mrs. Jones tales or my other short works, you can see all of them on my Amazon page. I’m falling in love with the short story process, and I plan to keep putting out shorter works for a while. Here’s to the joys of short stories! I went the other way around. I’ve been a short story writer for much of my life and only in 2010 I wrote my first true novel. By this I mean a story that was thought as a novel, not a very long short story as I did a couple fo times before. Writing short stories and writing novels are two very different skills, but I think one can implement and help the other, if we can write both media. As for myself, I did think about writing short stories so to publish them faster (and honestly, I’ve fancied about writing serialised stories since I was a kid), it would make sense. Only problem is I’m not a fast writer. Even when I write short stories and even if it does take a lot less to get them into publishing shape than novels, I still need a few months to have a short story ready to go. You know, this is the main reason why I don’t think I’m cut to be an indie author. Hi! First-time reader here! A wonderful thing to realise that two lines of description will do the work of two pages. An important reminder for myself as well! Lately, I’ve had a growing interest in conciseness. Have you ever tried drabbles or other flash fiction? …And out of curiosity (I live in Finland) what happened to that epic fantasy trilogy based on Finnish folktales? Welcome! Thanks for reading and commenting! Yes, I’m still working on finding the balance between being concise and not leaving out important information. 😛 I’ve never heard the term “drabbles” before – is it a form of flash fiction? I haven’t tried my hand yet at flash fiction – I still feel slightly uncomfortable with short stories sometimes, so I want to get better at that format before I try to shorten my writing yet again. And thanks for expressing interest in my Finnish epic fantasy! It’s not forgotten, by any means. It’s on the back burner for at least the next year or so, simply because it was turning into such a monumental project that I knew that it would be years before I could get anything published if that was the only thing I worked on. I created a fantasy world inspired by The Kalevala, intending to write only one book, but then it turned into a trilogy, and I added more stuff from the Kalevala, and a few more characters, and… Anyway, I will get back to it at some point, but I know I’m going to need to devote a lot of time to it. Thanks for your interest! Yes, I suppose – though I am a little hazy on the definition of “flash fiction” myself! 😀 A drabble is a story in exactly one hundred words. No more, no less. It’s the one thing I have a little experience in! Wow, sounds fantastic! Do let us know when you’re working on it again! Stay tuned to this blog – when I get back into the Kalevala fantasy series, I’ll be sure to post about it here first!